I bought these directly from Apple and I actually own the Black pair. I was never particularly a fan of Beats or Bose. I didn't really care for their tuning and much preferred Klipsch, Audio Technica, or Sennheiser. I listen to most genres of music from classical to hip hop and everything in between and beyond. I do like a bit of a forward and punchy bass when the music calls for it but otherwise I prefer my audio experience to be somewhat neutral. While I am kind of a headphone junkie I wouldn't call myself and audiophile. I've been looking for a good wireless solution for work for a while now. I've been using my V-Moda Crossfade Wireless and I like them a lot but I don't like having something big and bulky on my head and sometimes it messes up my hair. I'll switch to my Klipsch S4i but I hate being tethered to my phone. I was considering the Apple AirPods because they seemed easy and convenient but after further research I found the battery life to be somewhat unacceptable at around 4 hours and I heard too many reports of people losing one side. Also they are kind of silly looking. 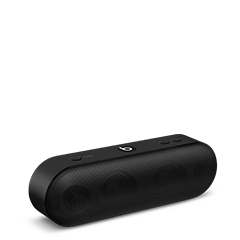 I just wanted something with at least 8 hours of battery life, good noise isolation, good audio quality, and good comfort. I believe The BeatsX meets all of those requirements. The battery life has been good at around 8 hours. 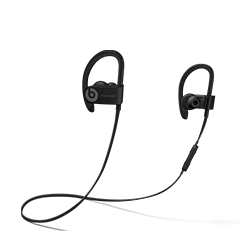 I'd love to get 12+ hours like on the Powerbeats but I preferred the smaller and more compact design of the BeatsX. The audio quality is good. It is not great. These won't be an audio revelation for anyone. They are fairly balanced with decent to good mids, decent highs, and pretty good bass. The clarity is ever so slightly lacking when compared to other better wired earphones but nothing too bad. It is good enough for me to enjoy classical music and hip hop or for listening to podcasts. 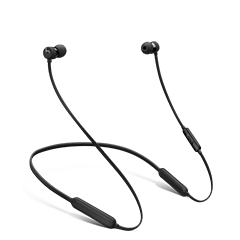 It is important to keep in mind that these are closed back in ear monitors with wireless Bluetooth connectivity. All of those things combined dont typically translate to great audio but in this case I can say it's actually good. So far these have been very comfortable to wear over long periods of time. Wearing them while walking around or sitting at my desk has been great. I am using the earpieces that came installed and they fit great. I did attach the ear fin/hook pieces but found them unnecessary for a good hold. I have not found any discomfort in wearing these for extended listening of 3 hours plus. Mileage will vary on comfort because of the unique nature of everyone's ear sizes and shapes but fortunately they do provide 3 other ear pieces ranging in size and style as well as 2 pairs of fin/hooks. My only issue with fit is that they are kind of long and there is no adjustment on the length. They hang a bit low when you don't have them in and sometimes they loop out far from your face because the excess length. This has so far been a minor issue at best. Also I should point out that I have not tried to work out with these yet and I haven't had a lot of cable noise like others have complained about. The build quality seems good. The cable is flexible but rigid and the earpieces seem to be durable and sturdy for their size and weight. I also do appreciate that the backs of earphones do magnetically attach to each other so they won't as easily come off of your neck. Operation and functionality is great. They easily pair with your iOS devices and every time after is fast and simple. It has a 3 button remote on the left side as well as a mic. The buttons are appropriately clicky and tactile. I also really like that you can charge these with the iPhone lightning cable and that it comes with a short one. I can confirm that they do charge up fast and will get a 2 hour playtime from just 5 minutes of charge. Charging fully usually takes from 45 minutes to an hour depending on how drained they are. The only reason these get 4 stars is the price point. 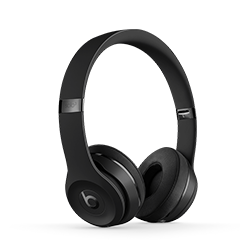 Yes it is Apple and it is Beats so you're paying a premium for just the badging but all things considered this is a great set of wireless headphones, it just would have been excellent in the $100-$125 range. While the audio quality and battery life are good they won't amaze anyone like they might had they been cheaper. If you're willing to spend the money and have your expectations in check then I can recommend these happily. They work well and provide everything I needed and then some. If I lost them I'd probably buy another set. 5.0 out of 5 starsSurprisingly excellent! Great sound quality if you take the time to get a proper fit. Price: Seems high, but for a decent pair of Bluetooth earbuds, you end up paying right around $100, if not up to $150. I feel the price I paid was a steal. Build: Excellent build quality. Doesn't feel cheap like some of the budget Bluetooth earphones I've owned. 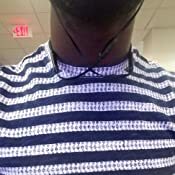 The cords for the buds are flat, which means they never tangle, and the neckband is thin and flexible, but firm. It's all this soft touch matte plastic and rubber that feels really nice. I opted for the blue color and it's really nice. It's kind of a royal blue that's it crazy bright. The two little lumps on the cord where the electronics and batteries are housed look weird at first, but it's a great way to balance things out while making the whole package super slim. There's also a magnet in the bids so they sort of click together around your neck when you take them out. Keeps them out of the way. I kind of always have them on because that's so convenient. Quality, quality build. These are not the Beats of old. This feels more like an apple designed product. Fit: They come with a few tips and a few ear hooks that go inside the ear. I found the large tips to work best (as usual), and I added the large hooks too. 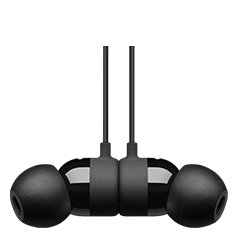 They go inside your ear, not over it, and they're really comfortable (same soft matte rubber). I have worn these all day with no fatigue. Almost forgot I had them in. 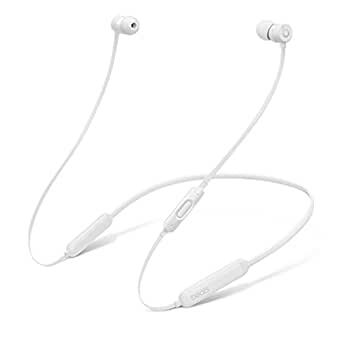 The earbuds themselves are slightly angled in, which helps get a good seal. Because the electronics sort of test on your collarbone, the cords don't tank the buds out with their weight. Also, because there's just enough slack between the electronic lump things, they don't pull when you turn your head. Sound: I do and have owned high quality studio cans and wired IEMs. These, of course, don't touch those in sound quality. But in terms of Bluetooth, they're great. The sound is not at all Beats-y, that is, it doesn't have booming, muddy bass. In fact, I'd go so far as to call them very balanced with a nice bass punch. The mids are clear and the highs are crisp. The low end has a punch but it's not muffled or muddy. 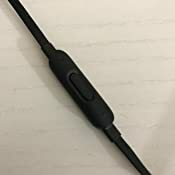 I read some reviews that said the sound quality was poor, but I think those reviewers didn't take the ten minutes to figure out the right tip/hook combo because once they seal, they sound awesome. That's the last part of this. The seal, for passive noise isolation, is amazing. I only need the volume turned up halfway to think they sound a little too loud. And when they're at a good volume, I can't hear anything in the outside world. Range and pairing: I know you only pair them once, but the W1 chip did, in fact, make pairing even simpler than it already is. 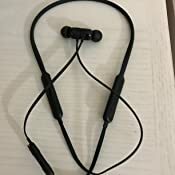 Further, my other Bluetooth earbuds/headphones would often not connect right away or frequently lose connection. 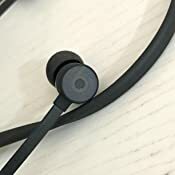 These have never, I repeat, never lost connection and have never taken more than two seconds to pair. The range is ridiculous. I've walked to the second floor of my house with my iPhone 7 in the basement and there was not degradation or skipping. At the office I get up and walk away and only after I'm really far away do I lose sound. It's the best range I've experienced. Battery and charging: The battery goes 8 hours for me, as advertised. They take about 35-45 minutes to charge fully once empty. The best for me though, is the 25%/2hr charge in five minutes. I'll often go through my workday and drain almost all of the battery. I pop them on the charger for 5 minutes and I truly get at least two more hours out of them, enough for my train ride home. 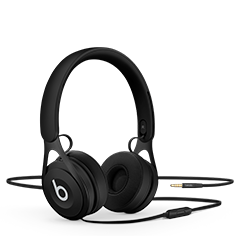 As an added bonus, they charge via lightning and come with a 6 inch black, Beats branded lightning cable. It's great to not need a micro USB charger for anything now. Bottom line, I LOVE these headphones. They sound fantastic, have an amazing range, fit wonderfully, etc. 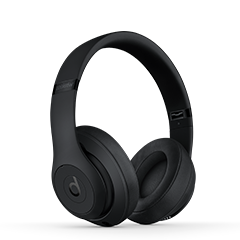 They're worth full price since you get a $30 iTunes credit with beats products. If they go on sale again, I'd say run and buy a pair.